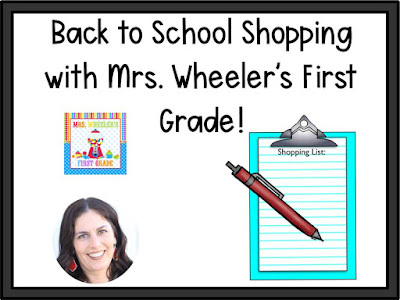 Mrs. Wheeler's First Grade Tidbits: Back to School Resources! Hi, friends! Hope you're having a great week. We are now into August (boo!) and that can only mean one thing: back to school time! Today I'm dedicating this blog post to all things back to school, specifically some of my favorite BTS resources that I have in my TpT shop. Anddddddddd it just so happens that these resources are all 20% off through TOMORROW, AUGUST 2! That's right. All of these. Even the bundles! And, if you use code "BTSFRESH" at checkout, save an additional 5% from TpT!! What a deal! Everything I reference is hyperlinked to make checking out the products a breeze. So grab a cup of coffee, sit back, and enjoy the post! Let's start with Open House! I love this Open House Board that I created a few years back. It's great because it holds all the papers the parents need. I can direct them to the board and don't have to be over there. I also love my *editable* Open House Supply Signs. Again, I provide parents directions for supplies and they unpack their kids' supplies without me having to explain. Next up are my Positive Notes Home. I always, always, always keep a large stack of these copied and ready to hand out! Especially prior to starting the year! Sending a little note home can have a BIG impact! Monthly Behavior Calendars *editable* are a MUST! We are a PBIS school and the kids track their colors with their behavior calendars each day. They also set a goal at the start of each month. 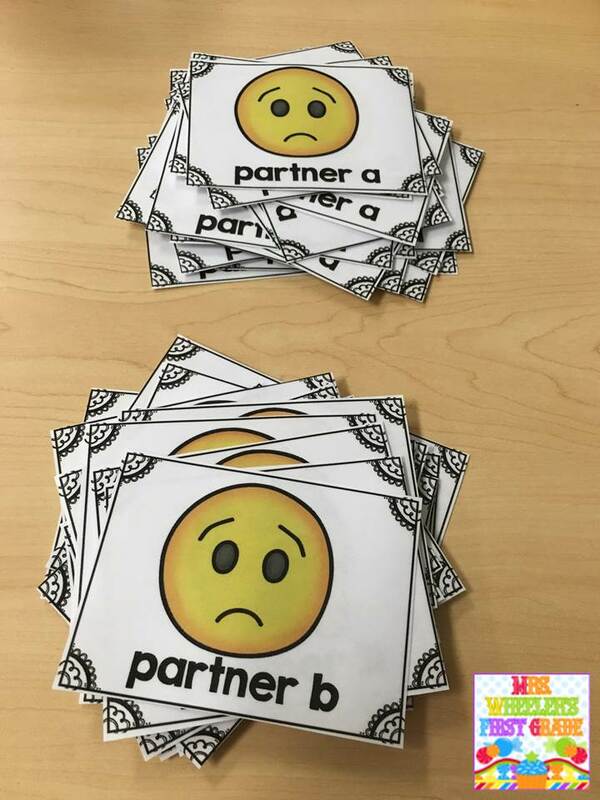 At the end of the month, they assess their progress and if they met their goal, they earn a reward with the other students in the school who also did! *Also shown are my First Day Certificates! Love them! I always look forward to using the many activities included in my Back to School Printables Pack! It's such a great pack that's loaded with goodies to get you through those first few weeks. Many activities coincide with back to school books to make for meaningful activities! Procedures, procedures, procedures! 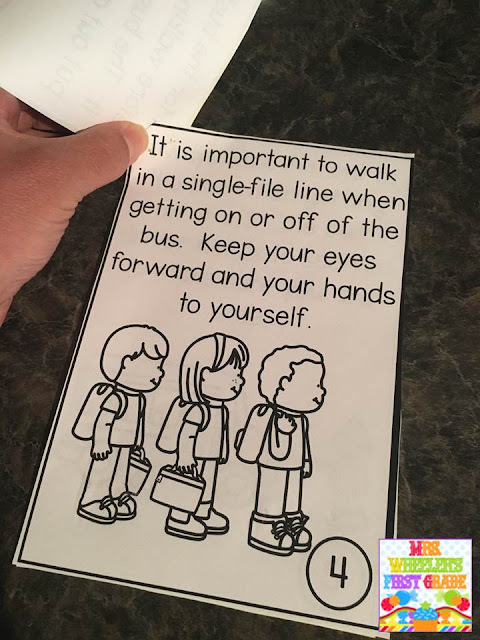 So important the first few weeks/months of school! I can't say it enough. I like to make teaching these critical skills FUN! 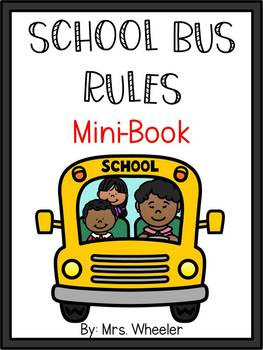 My Classroom Expectations Book *FREEBIE* is a great way to remind kids of the rules of the room. I encourage good behavior with my Whole Group Classroom Rewards! Students select a reward they'd like to work on and earn letters towards the reward. 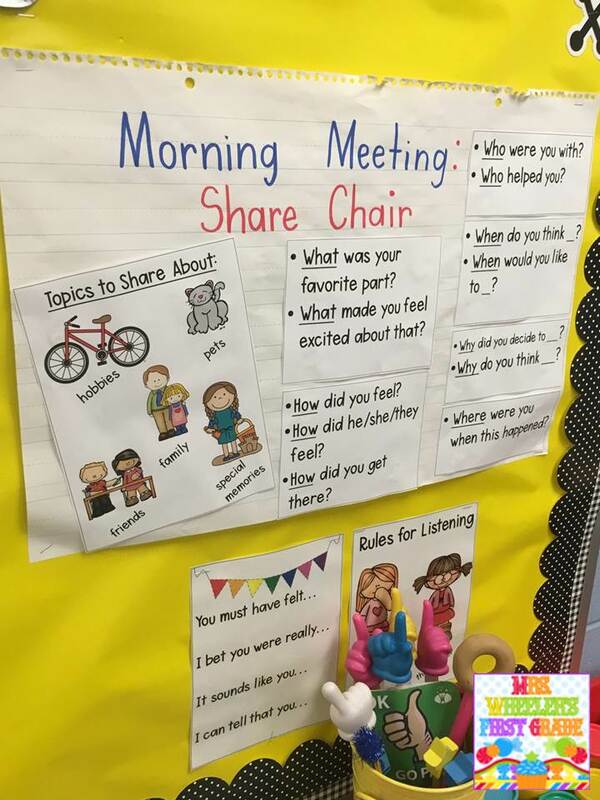 Great way to build community early in the year!! Speaking of procedures and rules, these little babies are HOT OFF THE PRESS THIS SUMMER! I am PUMPED to be using these with my kids in a couple weeks! 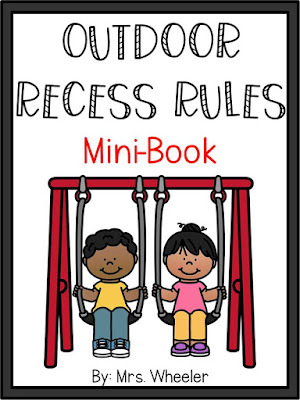 I love a mini-book and these will be so perfect for reminding my students of expectations on the bus, playground, hallway, and *coming soon: indoor recess. I start the year simple when it comes to centers. 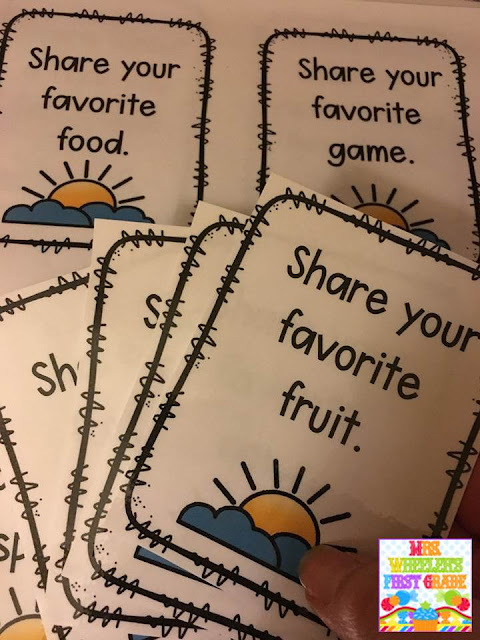 These Color Word Activities are perfect as a first introduction to centers! The activities are simple for kids to complete and get them into the center routine. Morning Meeting is one of my favorite times of the day, which is why I am sharing some of my favorite resources for it! I love using my Partner Match Cards to pair kids up prior to a greeting or activity. I like having my Morning Meeting: Sharing Cards on hand for a quick on the fly idea for sharing. At the end of the meeting, we play a game, and I Have, Who Has is a class favorite each year! This back to school edition is perfect for the meeting. Math at the start of the year is pretty simple! I am a game fanatic, so each day as a wrap up for Math, we play a review game. My Math Games on the Fly are lots of fun and they are differentiated so you can easily meet the needs of everyone! In August/September, I love using my Number Sense Math Games on the Fly. They are simple review games that everyone has success with. I keep my games copied and stored in a file so I always have them ready to go! Last up, assessment! The first few weeks of school, I try to squeeze in assessments. This helps me see what my kids know which in turn helps me plan instruction! I like to make packets using my Beginning of the Year Assessment Pack. Every assessment is kept safe in a packet. I keep these for my own records. Hope you found some useful products! Have a great year!! !